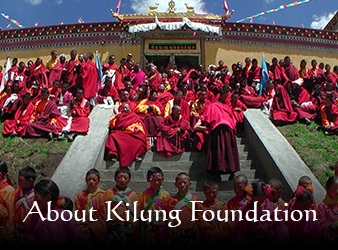 On September 30, 2007, after 50 years of annexation, the traditional boundaries of Kilung Monastery were reinstated. The area once again includes the whole of Kilung Valley and beyond, and its administrative authority. 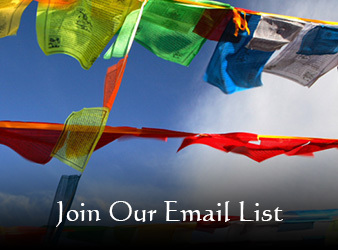 Kilung Jigme Rinpoche has said this transition holds a critical key for further unlocking the reflourishing of the monastery and the wider community as it promises to reestablish Kilung families on their traditional lands. In addition it will extensively influence the relationships between families and the workings of the monastery. In the 1950s, most of Kilung community and monastics fled the area, to Amdo, central Tibet, and India, abandoning the monastery, deserting the valley. A new boundary was created tightly around the enduring monastery buildings, with large tracts of land annexed away. Over time, people settled the valley, many of them from other communities and tribal affiliations. Beginning in the 1980s, when Kilung Monastery was restarting and community slowly returning, the lack of Kilung tribespeople had an unfortunate effect on the monastery’s development. Traditionally, monks and nuns of monasteries are members of that local community and are supported by their families and tribe, receiving fresh food and material support. 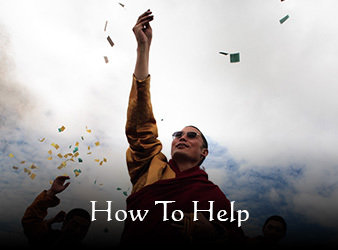 The monastics, in turn, give their families necessary spiritual and other support. However, with more than 100 Kilung families, or one-quarter of the population, settled in far-flung areas, few Kilung young people have chosen monastic life, and many Kilung monastics have given back their ordination in recent years. Now Kilung community is going through a process of bringing their families back onto tribal land. Official permission to move across provincial borders is required first, and local leaders are developing a plan to assist up to 50 families to move themselves and their herds back to Kilung Valley. The strength of tribal connection is such that Kilung people who have lived elsewhere still refer to themselves as Kilung, including the younger generation who have never seen their ancestral land. Returning will mean a reunion of the tribe after 50 years. Rinpoche hopes this will result in a vibrant monastic community with a sustainable population of monks and nuns as well as a renewal of the traditional partnership between monastery and community, working together for the benefit of all.